After a week in the city I've concluded that working for the Lyon tourism board must rank amongst the easiest jobs in the world. Where some cities take a degree of perseverance in opening themselves up to the uninitiated, Lyon prefers the altogether more cinematic approach of being blindingly and immediately beautiful. It's southern France cast in the mould of Federico Fellini, a cavalcade of cultural and historic riches carved from the pristine, turquoise V-shape where the Rhône meets the Saône. Indeed, with this weight of heritage it'd be easy for Lyon to settle into the well-established groove of the Museum City, for the convivial hubbub to dissolve in tandem with the slowly setting sun, and for nights spent grazing from the menu of a local boucherie to end like something from a romantic comedy, all red wine and contented stumbles back to the hotel. Thankfully then, the organisers of Nuits Sonores have other ideas. 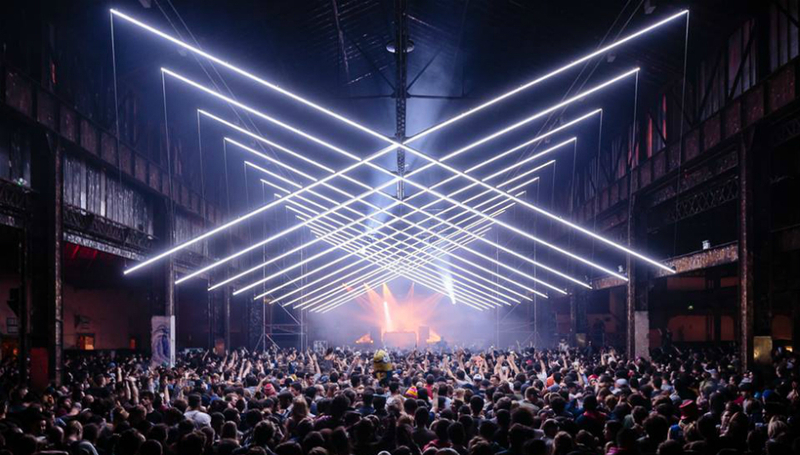 Every spring since 2002, Nuits Sonores has acted as something of a lightning rod for thousands of festival-goers who are drawn to the Confluence at the southern tip of the city for five straight days and nights of electronic music. Now swarming with bright young things dressed in New Balance trainers and reflective shades, the formerly industrial no-man’s-land is Lyon’s hippest new neighbourhood and a masterstroke in urban regeneration. From the gleaming modern art space Le Sucre (formerly a sugar refinery, naturally) to the monumental collapsed nest of steel and reflective blue glass that is the Musée Des Confluences, Nuits Sonores draws together the city's’ newest architectural exclamation marks to create a sprawling series of events where you’re never more than ten feet from the nearest party. The festival is split into a day programme and a night programme, with the action moving across from Le Sucre to the cavernous warehouse complexes of the Ancien Marché De Gros as twilight descends. Thursday’s day session was curated by Motor City Drum Ensemble, who invited The Black Madonna along for the ride. First up, MCDE proved why he’s one of the biggest names in the game with a tightly-crafted set where soulful, sample-heavy cuts rubbed alongside trademark deep house tracks from his own enviable back catalogue. He’s a joy to watch, burrowing eyes laser-focussed as he flipped vinyl after vinyl from sleeve to deck like a haywire one-man production line, only occasionally allowing himself a coy smile out to the audience as the sunlight poured through Le Sucre’s doors. ‘I’m rarely at a loss for words’ wrote The Black Madonna on her Twitter page the morning after her set, ‘but last night was something else.’ Musically I knew what to expect from Panorama Bar’s newest resident: slick, muscular house music drawing a distinct line from her Chicago roots to the acid cuts of the Hacienda’s heyday, but the reception she got after the set was more akin to Pavarotti, with waves of ovation tumbling in her direction from all sides of the sleek, central DJ booth. 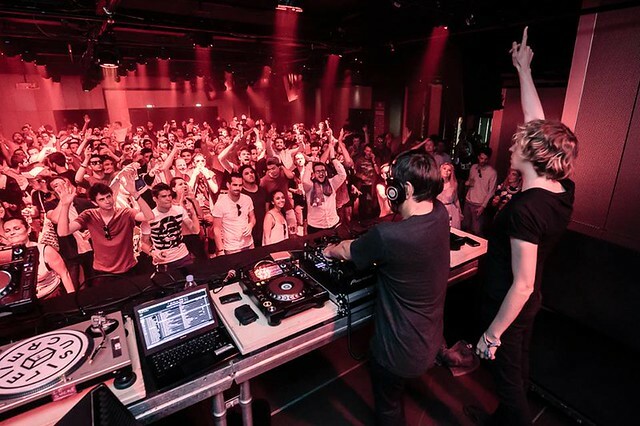 Perhaps, after the backlash that met the all-male 25 Pioneers cover of last month’s DJ magazine, the rapturous response was a sign that audiences are more than ready to see booking agents redress the gender imbalance in electronic music and beyond. Over on the Esplanade, Fort Romeau played under a bubblegum sky as the sun set on the first day. To his right on the Rhône, a boatful of people dressed in pastel colours danced to his own brand of highly-polished house cuts that evoke the likes of Metro Area in their zip and elegance. Already becoming a well-established figure in Berlin (his adopted hometown) after the success of his Insides LP, he proved himself to be a perfect accompaniment to the hazy sunset cocktails that by now found themselves slipping down easily. 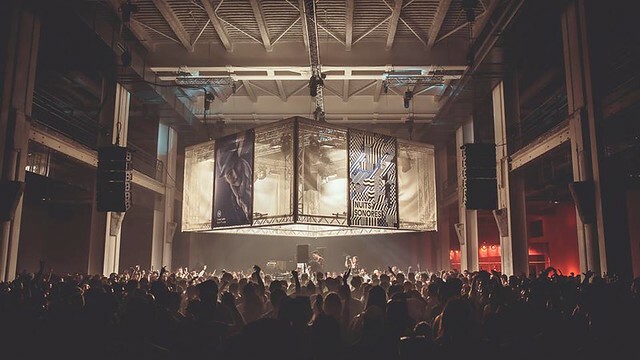 At Nuits Sonores, parties come in many different varieties: from rooftop to boat to garden and finally, looming on the horizon and already crackling with electricity, the warehouse. The Ancien Marché De Gros is a colossal space, and for Nuits Sonores it was rigged with more lights than a WWE Smackdown event. When Pantha Du Prince hit their stride, the crowd resembled a shoal of fish: a single, throbbing mass of people all governed by a singular kinetic impulse. Black Noise has to rank amongst the most accomplished electronic LPs of the 2010s so far, and Pantha Du Prince performed as part of ‘The Triad’, impressively recreating his liquidy, propulsive sound in a live environment. Rødhåd closed things out with a deep, taut, and expertly controlled techno set that commanded every ounce of attention from the faithfully gathered, whilst on the following night it was Maceo Plex’s turn to recreate the sort of sweat-drenched Boiler Room atmosphere that’s now par for the course on the European festival circuit. Laurent Garnier is the most accomplished DJ I’ve ever seen live and in the flesh. His career has seen a litany of residencies across some of the world’s most renowned clubs, and though he’s now 50, his approach to his work is as forward-looking as it’s ever been. In a recent interview, he said he still listens to seven hours of new music every day to sate his enormous appetite for innovation. That might partially explain how he took an otherwise chilled rooftop of people and coaxed them into delirium at the festival’s closing party two days later. Playing b2b sets for six hours with Cut Copy Soul and Jackmaster, the avuncular elder-statesmen squeezed every last drop of energy from the Le Sucre crowd with an encyclopaedic set, one that must’ve set usage charts peaking over at Shazam HQ. Later on in the secondary warehouse of the Ancien Mache, I was compelled to check out James Holden and Camilo Tirado’s Outdoor Museum of Fractals on the strength of that forbiddingly academic name alone. I was expecting a fairly atmospheric and textural performance akin to Holden’s The Inheritors 2013 LP, but the electronics here took a back-seat to the densely complex polyrhythms courtesy of Tirado from a set of tabla drums. Though sonically interesting, it was a little repetitive and introspective to hang around for too long. 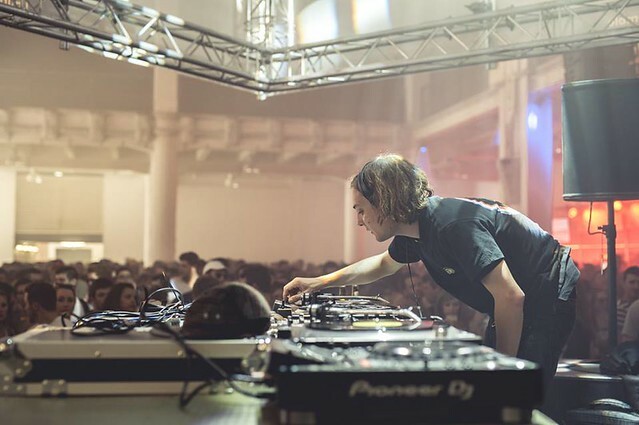 As the final days rolled around, we were treated to sets from Seth Troxler (playing b2b with The Martinez Brothers for six hours) and the flop-haired saviour of British minimal techno, Daniel Avery. Though he’s gained somewhat of a reputation for his frayed temper and loud mouth in interviews, there’s a reason why Troxler is one of the most in-demand artists of the summer circuit. From tropical house to Prince interpolations to giant hands-in-the-air filter sweeps, he’s a human confetti explosion on the decks. By this point it felt like half of Lyon had turned up to party, and the atmosphere was one of sun-drenched bliss under the indigo lights of Le Sucre. Later on, things got decidedly darker with Avery’s performance at the closing rooftop party. His music has evolved from the addictive acid hooks of Drone Logic, to a more richly textured and dubby ambience on his recent singles for Phantasy Sound. Here, his set provided a hypnotic final surge to the weekend’s festivities, with the party still going on well beyond the scheduled finish time. All around the city there are signs saying ‘Only Lyon’, (another gift to the tourism board) and over these sun-soaked five days in early May, nothing could feel more accurate.